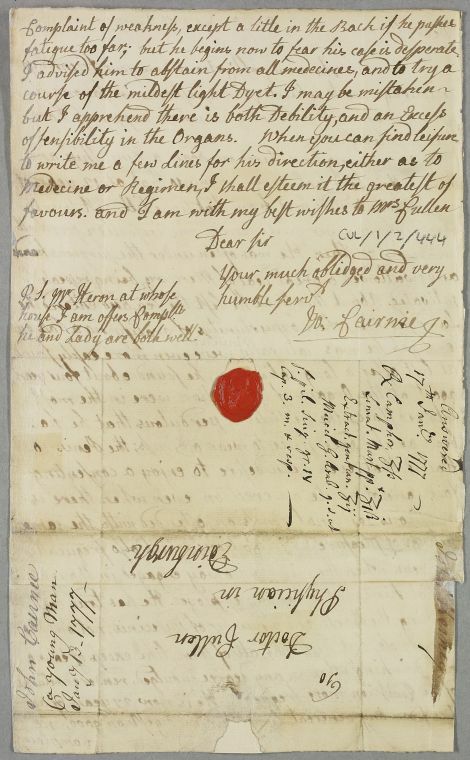 Letter from John Cairnie, about a young man aged twenty-seven who after going to sea when twelve was treated for frequent venereal infections and now suffers from erectile dysfunction. Annotation indicates this was answered on the 17th January, and the recipe prescribed has been noted down here on the last page of the incoming letter. 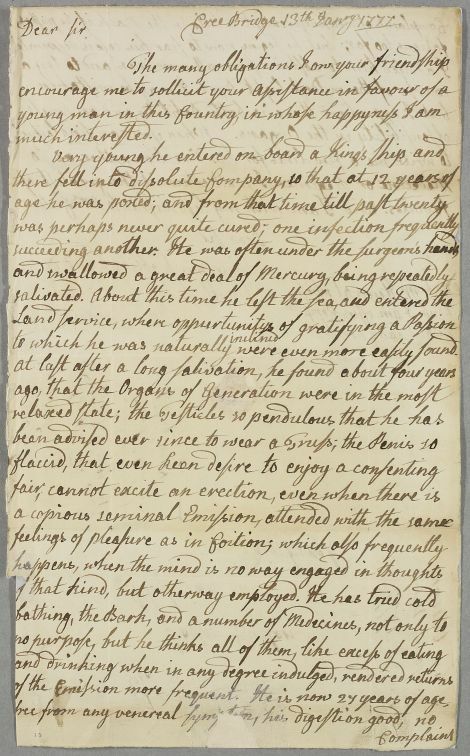 Summary Letter from John Cairnie, about a young man aged twenty-seven who after going to sea when twelve was treated for frequent venereal infections and now suffers from erectile dysfunction. Annotation indicates this was answered on the 17th January, and the recipe prescribed has been noted down here on the last page of the incoming letter. Case of an unnamed male patient suffering from dysfunction of the sexual organs. to which he was naturally ↑inclined↑ were even more easily found. he and Lady are both well. house I am offers Complts.